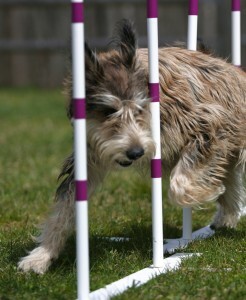 Agility does not come naturally to Picards. However, good work ethic and strong drive do. When teaching agility, it is important to find what truly motivates your dog. The first steps to teaching any performance sport is encouraging interactive play. From the moment you get your puppy, tap into the chase instinct and play fetch. Also encourage tugging to get his focus on you. Make yourself the most exciting activity around. Once you’ve mastered that, start by training simple obedience, such as sit and stay. These two commands will be invaluable in agility. Have your puppy walk on different surfaces as often as possible, especially ones that move or wobble. Build trust between the two of you by not pushing too far too fast, work at your dog’s pace. Keeping training sessions happy and short is a must; 5-10 minutes at a time, a few times a day. Do different tricks or play differently each time. If you start to get frustrated, move on to something else and end each session on a positive note. Do not engage in repetitive behaviors; Picards bore easily and will shut down. 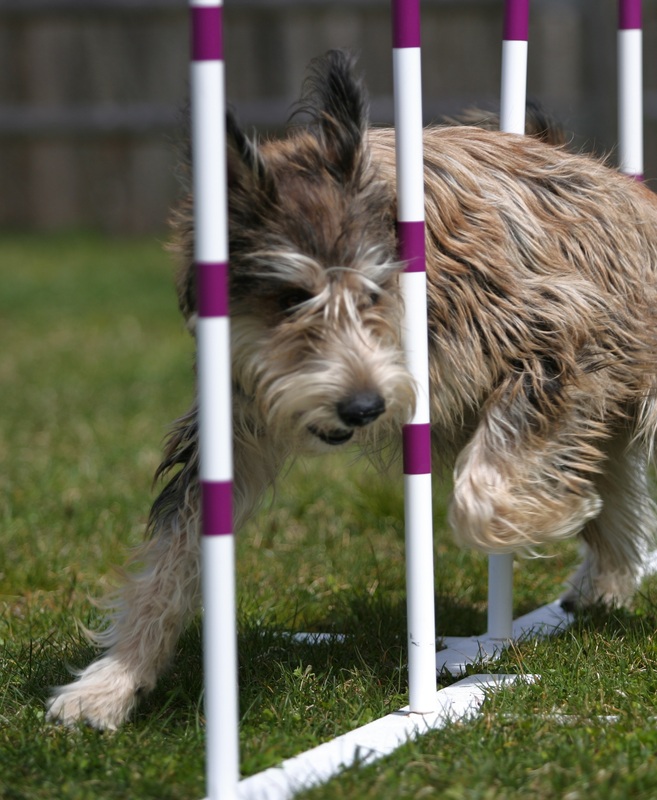 Agility trial runs are 30-60 seconds, that’s all the attention you need. 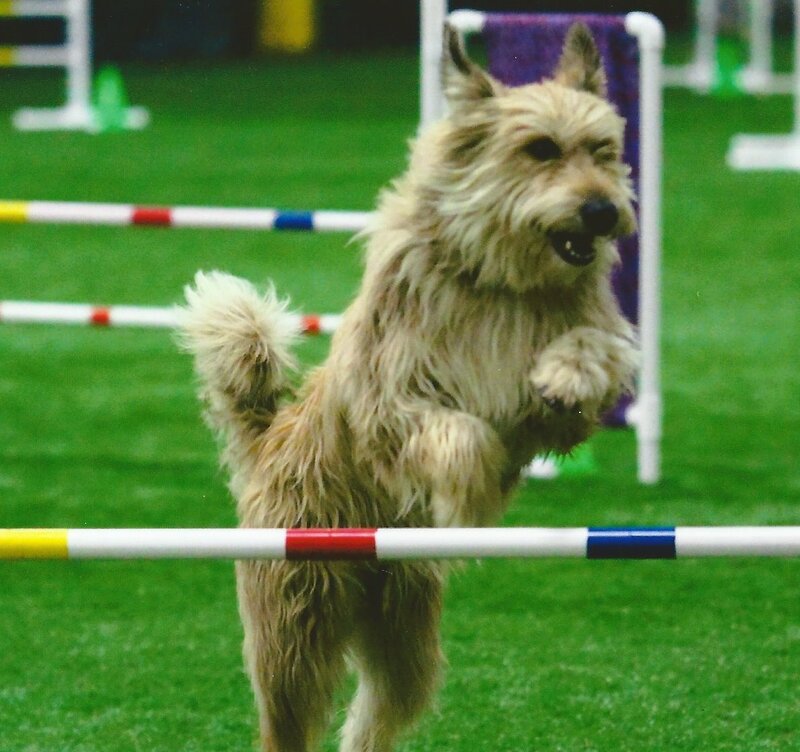 While this may not seem like too much to ask, it is important to remember that it takes a lot of concentration for your dog to give you undivided attention for those seconds, while negotiating obstacles, especially in the high energy environment of an agility trial.